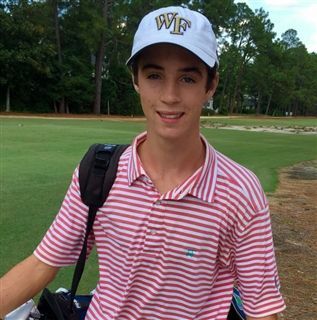 One of The O’Neal School’s star student-athlete golfers, Fulton Smith, has made a verbal commitment to study and play golf for Wake Forest University. Smith has secured a spot on the Demon Deacons golf team for the fall 2019. Smith, who began playing golf at the age of 6 years old, has wanted to play collegiate golf for as long as he can remember and in 7th grade started to focus on golf as his primary sport in the hopes of one day playing at the college level. Smith worked his way to the #2 ranked North Carolina Junior Golfer overall, and #1 in the class of 2019. Smith has won numerous high level tournaments, most recently winning Carolina Golf Association’s prestigious Dogwood State Junior Boys’ Championship for the 2nd year in a row.